Browse today's newest Thorncliffe homes for sale & Calgary real estate listings below. 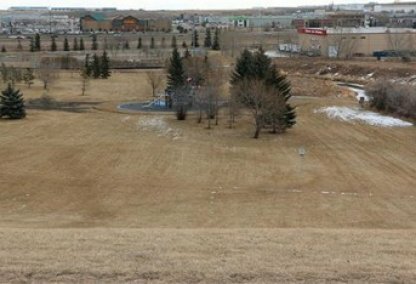 The Thorncliffe community, formerly known as Greenview/Thorncliffe, was divided to become Greenview, Thorncliffe and Upper North Haven in 1991. Discover the hottest Thorncliffe neighbourhood properties for sale now! Schedule a guided home tour today with your Thorncliffe Calgary real estate agents. Thorncliffe housing market statistics: As of April 25, 2019 there are currently 25 properties for sale in Thorncliffe listed as active, with an average asking price of $421,368. The highest-priced property is $938,800; the lowest priced property can be purchased for $182,900. Thorncliffe neighbourhood listings have an average price of $369 per square foot, based on listings with 3.6 bedrooms, 2.2 baths, and 1,187 square feet of living space. Looking to sell or buy a home in Thorncliffe? Call Justin Havre at RE/MAX First - 403.217.0003, your Calgary Homes neighbourhood real estate team. We are Thorncliffe real estate agents and can help you find all Thorncliffe Calgary new listings. Homes in the Thorncliffe neighbourhood include single-family detached homes, condos, duplexes, and townhouses. There are approximately 9,000 residents in the neighbourhood. The Thorncliffe-Greenview Community Association maintains the Thorncliffe-Greenview Community Centre with a Senior Centre, lounge, and kitchen. Amenities include a baseball diamond, playground, bowling alley, hockey rink, racquetball courts and more. Weekly bingo is held at the neighbourhood centre to raise funds for activities such as dances, parties, and craft fairs. The local Women's League partners with the Men's Booster Club to raise funds as well. Amenities abound near the Thorncliffe community. Beautiful Nose Hill Park, Laycock Park, and Princess Island Park are in the area, along with the Eau Clair YMCA. Golfers can choose from multiple golf course properties nearby. There are a number of schools servicing the Thorncliffe community. Elementary schools include Thorncliffe Elementary (Public), Catherine Nichols Gunn (Public), Colonel Sanders Elementary (Public), Corpus Christi Elementary (Public), Greenview Bilingual Elementary (Public), King George Elementary (Fr), and Collingwood Elementary (Sp). Junior high schools within the neighbourhood include Sir John A. MacDonald (Public), Colonel Irvine (Public), Georges B. Vanier (Fr), and Senator Patrick Burns (Sp). High schools include John G. Diefenbaker(Public), James Fowler (Public), and William Aberhart (Fr, Sp). Thinking of buying or selling a home in Thorncliffe? Let our local real estate agents help guide you through the purchase of your next home, or to expertly negotiate the sale of your current home. As local Thorncliffe real estate agents, we're experts on the market dynamics unique to the Thorncliffe real estate market. We'll get to work for you today! Contact Justin Havre at RE/MAX First - 403.217.0003 to learn more about buyer or seller representation. Planning to sell your Thorncliffe home? 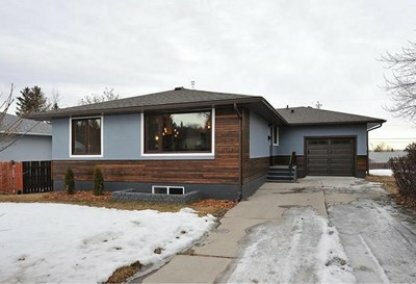 Check out our free home evaluation, where you can instantly price your Calgary home price your Thorncliffe home online, in minutes!